Superzilla is not recommend for guns. 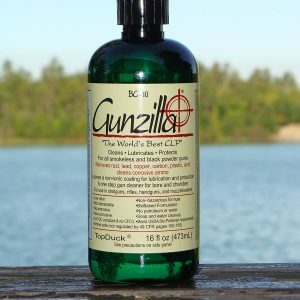 For guns we recommend Gunzilla which is the "gold standard" for cleaning, lubricating and protecting (CLP). 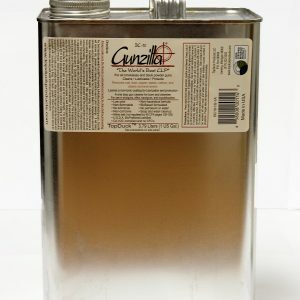 In combat Gunzilla reduced total weapon malfunctions by 75% or more and it is considered a life saving product by combat troops. 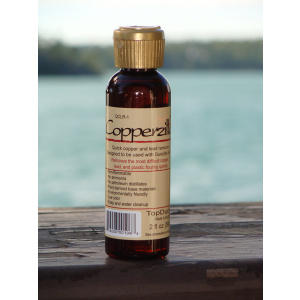 Gunzilla can be used on any gun including pistols, shotguns, rifles, semi-automatic weapons and black powder guns. 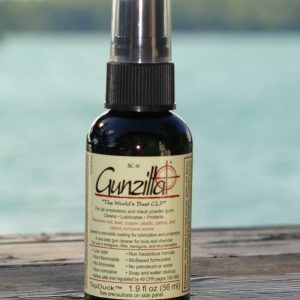 Gunzilla is also made from plants with a non-hazardous and low odor formula for indoor use. At TopDuck we make life saving and life changing products.